Heat pretzels following the instructions on the box. Top side down add 1/2 tsp. of mustard to each side. 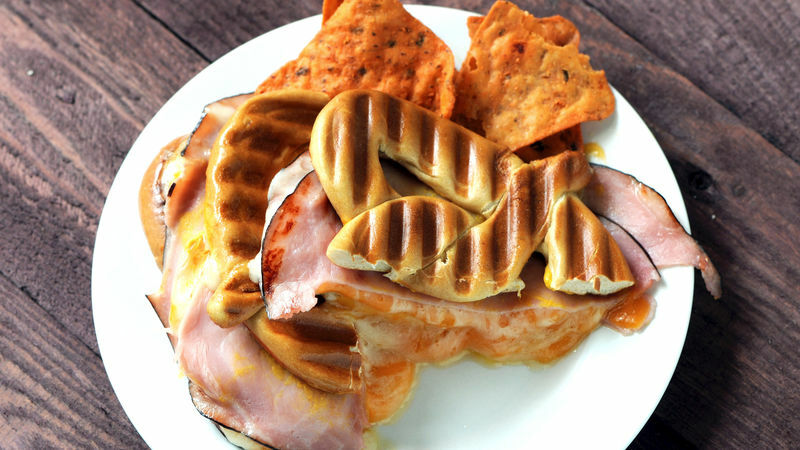 Place a piece of ham on top of pretzel covering the mustard. Place two slices of Cheddar cheese on one of the pretzels and one slice of Havarti on the other. Put together and use a Panni press to cook your grilled cheese. Serve hot with veggie chips.